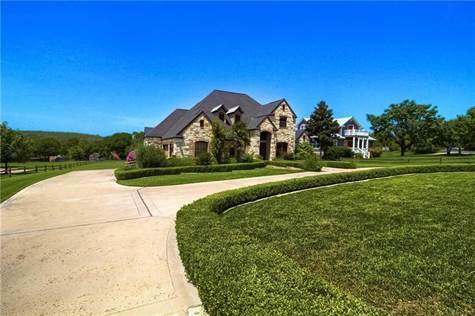 Aggressive new price on horse property in EANES ISD! Location is minutes away from Lakehills park and also comes with private neighborhood access to Lake Austin. 3 car garage and circle drive are ideal for anyone needing extra space for golf cart, boat or toys. Dual master suites are incredible and a must-see to believe. Features multiple living spaces, fireplace, upstairs game room(5th Br) & extended back patio that's ideal for entertaining and watching your horses!